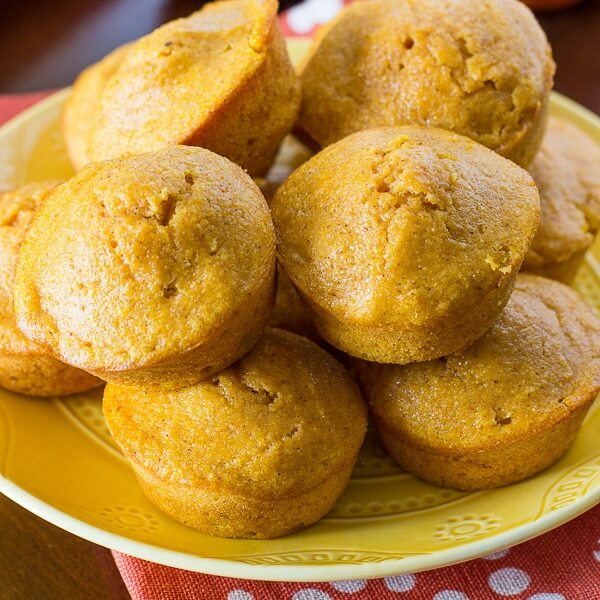 These Pumpkin Spice Cornbread Muffins take the tradition cornbread muffin to the next level! So this year I decided to mix things up a bit when it comes to making my beloved cornbread muffins. I used my new favorite cornbread mix, Simply Homemade Cornbread. I then mixed in all the delicious flavors of pumpkin spice. And guess what, they turned out AMAZING! I can’t wait to make them again for my family on Thanksgiving. ✔ You can make this recipe for either 12 standard-size muffins or 24 mini muffins. All you need to do is prepare my cornbread recipe the same for either standard or mini size muffins. The only thing that changes is the baking time, for standard muffins bake for 14-16 minutes and if your making mini muffins bake for 11-13 minutes. ★ Make sure to read my BAKING TIPS above before you start baking! PRE-STEP: Preheat oven to 375F degrees. Spray 12 standard-size muffin cups with non-stick cooking spray. Set aside. STEP 1: In a large bowl, whisk together cornbread mix, ground cinnamon, and nutmeg. Add pumpkin puree, milk, butter, and egg. Mix until combined. STEP 2: Using a ice cream scoop or spoon, scoop cornbread batter into muffin cups, fill about 2/3 full. Bake for 14-16 minutes or until wooden pick inserted in the center comes out clean. STEP 3: Let cool on wire rack. *For Mini Muffins: Spray 24 mini muffin cups with non-stick cooking spray. Prepare cornbread mix as above. Bake for 11 to 13 minutes. ❤ I'd love to see what you have baked! Just snap a photo and hashtag it #DELICIOUSLYSPRINKLED or tag me @deliciouslysprinkled on Instagram! And if your looking for an easy Thanksgiving dessert, these Pumpkin Cheesecake Bars are always a huge hit! This is a Sponsored post written by me on behalf of Fleischmann’s Simply Homemade. All opinions are 100% my own. 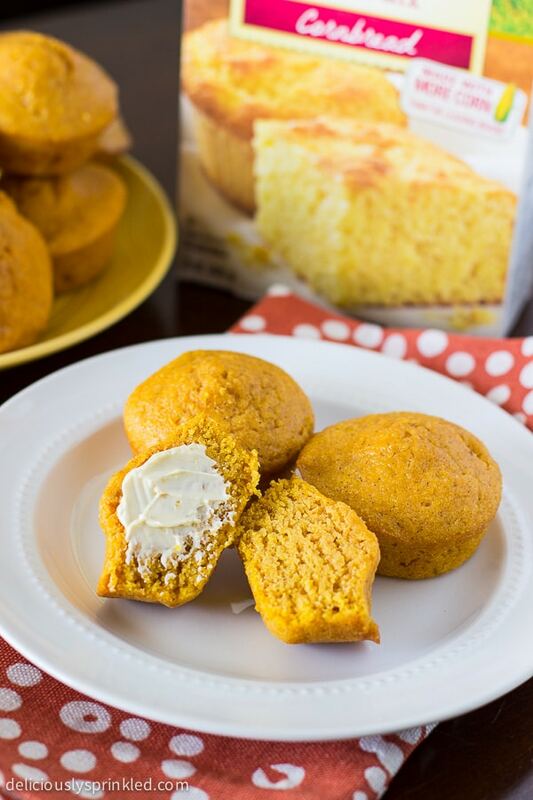 I love the idea of combining pumpkin and cornbread! That sounds like such a wonderful idea for fall! We love corn bread in this house! It would be great to be able to sneak in some pumpkin! I love that these are made with a mix. It makes everything so much simpler! I love that you added the pumpkin spice to cornbread! So delicious! Jenn!! 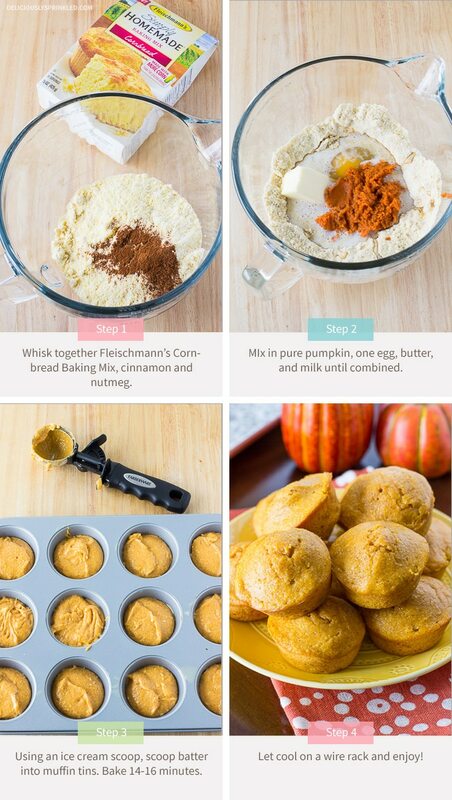 Brilliant idea because I’m not a huge lover of cornbread on its own, but adding pumpkin, that changes things! Hi Jen! Cornbread muffins are my favorite too, especially on Thanksgiving! 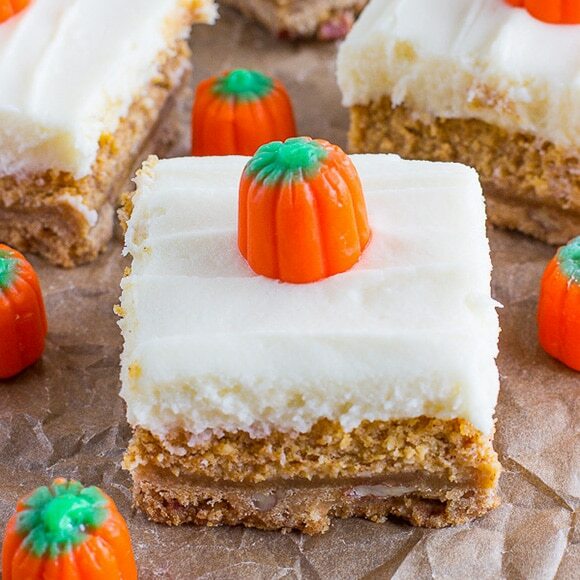 I love that you flavored these with pumpkin, such a great idea! Sounds perfect slathered with some butter and honey! 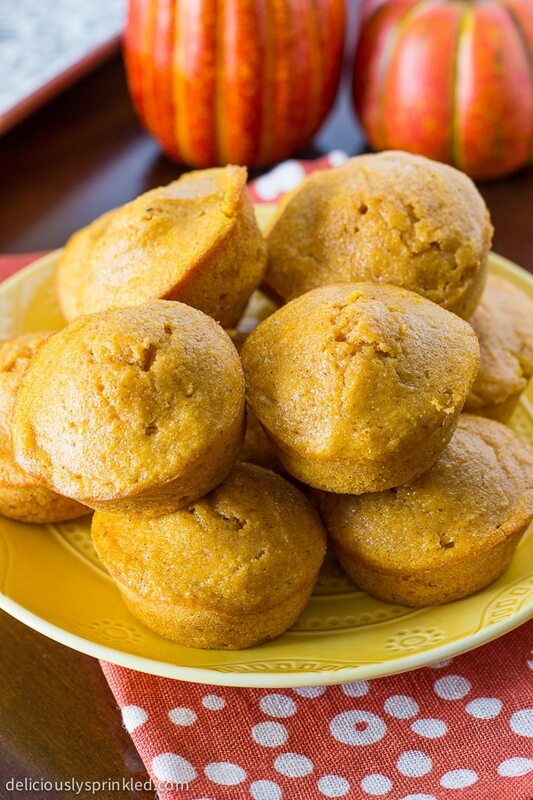 I never thought to put pumpkin cornbread muffins. They look amazing though and I bet they’re more moist! Have an awesome day Jenn!